The Gilded Scarab is very much a product of its setting. Londinium. London. London pervades the book. Every street and area, and almost every building Rafe mentions is real. Most of them are still there. Some have been renamed since Rafe’s time, but you can still find them on the map; everything from Covent Garden to the British Museum. Londinium isn’t quite the London of 1899/1900, since it has aeroships, and House Guards who use phlogiston-powered harquebuses and pistols. But still. This is London’s geography and London’s buildings. Most of the action of the story takes place in a coffee house in Museum Street, one of the short roads that run roughly north-south between Great Russell Street, on which stands the British Museum, and Bloomsbury Road/New Oxford Street. When Rafe first buys the coffeehouse it’s run down and dilapidated. A lick of paint and a bit of TLC, and Rafe reopens it as Lancaster’s Luck. This is Rafe’s coffee house, currently masquerading as a fish restaurant. I have made some changes to it. Please imagine it a little wider, with windows in which Rafe can put a table and chairs for his customers. And I’ve given the building a pitched roof, rather than the flat roofs of the real thing. Flat roofs are very boring. Believe me, when it comes to the book’s denouement, a steep pitch to the roof adds a little more tension! It’s a typical building of its period, with a stucco frontage and windows on the upper floors that get smaller the higher up you go. Four storeys in all, it gives Rafe plenty of room for his coffee house on the ground floor and his living quarters above, with the first floor (US second floor) used by Gallowglass House Guards as a convenient location to guard the First Heir. Sadly, the upper part of the building is as shabby as when Rafe bought it. But imagine it painted a rich cream, with a green trim on the coffee house windows. Imagine a couple of pavement tables and chairs for, as Rafe observes, those one or two days of the British summer when it isn’t actively raining. Imagine the fascia stretching over the door, proudly proclaiming the coffeehouse’s new name: Lancaster’s Luck. It may not look like much. Just one of hundreds of similar London buildings in a street pretty much like a hundred others. But really, this is the heart of the book. When Captain Rafe Lancaster is invalided out of the Britannic Imperium’s Aero Corps after crashing his aerofighter during the Second Boer War, his eyesight is damaged permanently, and his career as a fighter pilot is over. Returning to Londinium in late November 1899, he’s lost the skies he loved, has no place in a society ruled by an elite oligarchy of powerful Houses, and is hard up, homeless, and in desperate need of a new direction in life. Everything changes when he buys a coffeehouse near the Britannic Imperium Museum in Bloomsbury, the haunt of Aegyptologists. For the first time in years, Rafe is free to be himself. In a city powered by luminiferous aether and phlogiston, and where powerful men use House assassins to target their rivals, Rafe must navigate dangerous politics, deal with a jealous and possessive ex-lover, learn to make the best coffee in Londinium, and fend off murder and kidnap attempts before he can find happiness with the man he loves. AND THEN there was my last and perhaps most pressing cause for disquiet. Mr. Pearse concerned me greatly. The occasional looks of anxiety and strain on his face I had first noticed before Christmas were more common now. The old man’s shoulders stooped until he was curling in on himself, and he looked ill, his face pale and more than usually frowning. I saw it but hesitated to say anything. After all, I’d known the man a mere couple of months, and it would be the height of insolence to interfere. In the course of our acquaintanceship, I’d learned from Mr. Pearse that he had little in the way of immediate family. The details came from elsewhere. I learned from Mrs. Deedes that, while there were a sister’s children somewhere whom Mr. Pearse rarely saw, Mrs. Pearse was long gone. Their only child, a son, had died with Gordon in the Soudan. It explained Mr. Pearse’s grimace when he greeted me that first day, when I mentioned my rank and service. I came to realize that I had been accepted by Mr. Pearse despite being a member of the Imperium’s forces, rather than because of it. So, whatever worried the old man wasn’t likely to do with family. Since Mr. Pearse appeared to be sincere in eschewing anything to do with his old House, it didn’t seem likely House politics were bothering him at this late stage, either. Whatever it was, though, had the old man dropping weight and looking gray and aged. It was nice Sir Tane had such confidence in me, but I was not entirely certain I was up to the job. I did my best to cheer up Mr. Pearse, but the old man’s interest in anything I proposed—racing, boxing, the forthcoming second Olympic Games to be held in Paris later that year when even women were to be allowed to compete—was fleeting, although he did brighten briefly at the ludicrous notion of female athletes. Mr. Pearse’s attempts to hide that he was troubled about something failed miserably. He didn’t confide in me, not that I really expected him to on such a short acquaintance. All I could do was keep an eye on him, as Sir Tane had asked. Enlightenment came one dark day as January faded out and February came in with another rush of freezing snow, when I arrived at the coffeehouse to find Mr. Pearse in close consultation with a gentleman armed with a notepad and a measuring rule. Mr. Pearse gave me an uneasy look, but I stayed out of the way and retired to my usual chair, making a conscientious effort not to overhear. But the visitor had no such feelings of delicacy, and had a loud voice. Within five minutes of my arrival, I was staring at Mr. Pearse, feeling a little as if I’d been struck in the face by something unexpected. Like the way I’d been smacked in the face by the South African veldt, perhaps. It felt exactly like that. Mr. Pearse was selling the coffeehouse. Dreamspinner as an ebook and in paperback. Comment here and get an entry in a Rafflecopter to win an Amazon gift card (drawn when the blog tour is over at the end of March). In addition, one commentator chosen at complete close-eyes-stick-a-pin-in-it random will get a little pack of Gilded Scarab loot and a free copy of FlashWired (a gay mainstream sci-fi novella). Anna Butler was a communications specialist for many years, working in UK government departments on everything from marketing employment schemes to running an internal TV service. She now spends her time indulging her love of old-school science fiction. She lives in the ethnic and cultural melting pot of East London with her husband and the Deputy Editor, aka Molly the cockapoo. 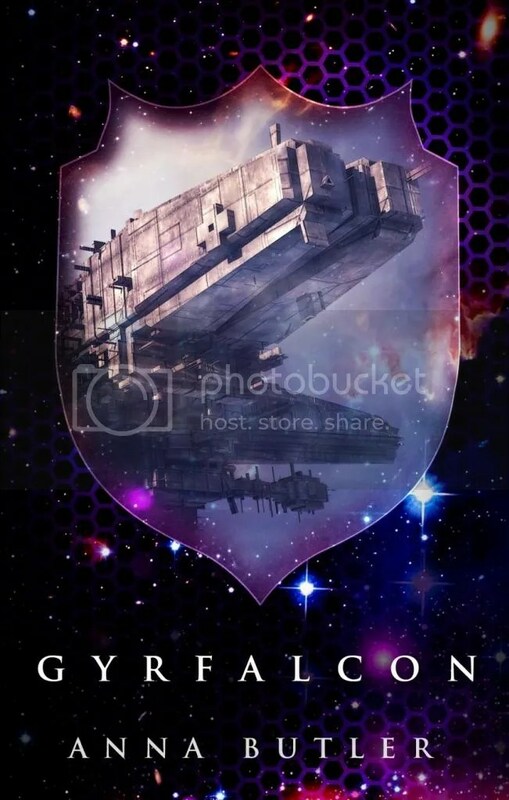 This entry was posted in For Your Reading Pleasure and tagged Anna Butler, Dreamspinner Press, Guest Author, MM Romance, steampunk by Charley Descoteaux. Bookmark the permalink. Thank you for hosting me today, Charlie. I appreciate it! 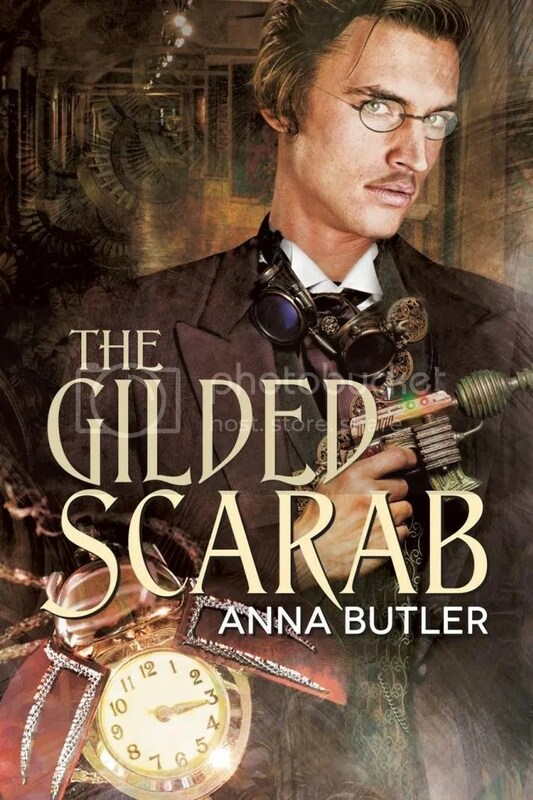 Love the cover too…in my experience you can’t go wrong with London and steampunk combo so this definitely goes on my TBR list. It’s a wonderful cover, isn’t it? I was beyond delighted when Dreamspinner commissioned Reese Dante to work on it, and I can’t praise her enough. I hope you enjoy the book! I recently finished a “Steam Tour” of London to create a travelogue for folks who are visiting there and want a taste of the Victorian Era. I went to 25 sites and museums, but I know there are so many more! It’s such a great city with such a long history. Every time I get cross about living here – because like all big cities, London can be hard to live in – I take myself off to the British Museum or have a little wander in the City somewhere. That reminds me what a wonderful city this really is. The steam tour sounds wonderful. Is this something you’ve created yourself? Oh good luck with that! It sounds awesome. Come and do a spot on my blog when you’re ready to publish it. This will be my first M/M steampunk read. I love the sound of this book. I will be loading it on my Kindle paperwhite asap. I can’t wait to start reading it as I love any book with the steampunk/scifi theme to it. I thankyou for this book. I do hope you enjoy it, falicesidoma!